Extra Ecclesiam Nulla Salus (No Salvation Outside the Church) - Quotes from Scripture, the Popes, Doctors of the Church and the saints on this dogma of the Church. Quotes proving the authority of Tradition - Popes, saints, doctors of the Church, etc... all take up the defense. Hell Exists and We Might Go There - This article is based on a talk given by Fr. Nault to the bishops at the Fatima Bishops Conference. What Will Hell Be Like? 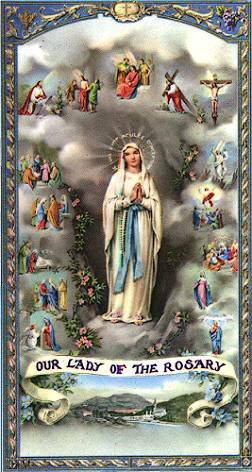 - This booklet is a selection from the writings of St. Alphonsus Liguori, Doctor of the Church - an authoritative statement on the subject. Meditation on the reality and sufferings and eternity of Hell are for us all the most sobering warning to lead a good life and follow the law of God. Cry of a Lost Soul - A tragic story of a soul in Hell revealing how she lost her soul and what Hell is like. The Reality of Hell - Stories of persons who visited Hell and apparitions of the damned.